When is Your First Trip? Looks like it's that Time. The trail reports have been a bit scarce on here........Everyone is either scared of the cold, getting older/wiser, waiting for the polar vortex to recede, waiting for Trumper's Tax Cuts to kick in, waiting for everything to be A+, or waiting for Saugenay Bills first Trail Report. Myself, Phil1, Donali, LowRider and co. are departing from the Rock in St Raymond on the 14th to ???? Looking forward to bumping into familiar faces soon! Rode west of Quebec City on Monday. Excellent early season conditions. There's plenty of snow already but because of the strong winds during the first few storms it was a bit thin on some of the fields. Road TQ3 -> 302 -> 365 -> TQ3. from french forum ...posted 2 days ago !!! On a fait Cabanon-Barrage Gouin les 27 et 28. Les trails étaient belles et grattées surtout au nord de KAnawata. Rode out of the Rock on the 28 up to the Delta. terrific trails but my god it was cold. We didn't book ahead for the Rock and we had to settle with the expensive rooms, place was pretty full and never sae so many rigs in the lot. L'Etape was a zoo. Disappointed the last bit of trail was closed for the Delta and now its an extended scenic tour. However we had a late start so not very scenic at 6 and even colder at night. Next day we did a short loop down the 83 and then swung around and headed back. My buddy had the flu and we were stopping regularly for him to be sick. Yes a pretty picture for you guys. Its the first time in 30 + years I used my electric shield, enjoyed the heated seat and wished I had the Y splitter so I could have plugged in my vest. Hope to go north in 2 weeks but waiting for more snow in Parent -Val D'or areas. Same here holding off for the same reason, headed up around the same time. Season has just begun! I've learned to be patient LOL! Take 368 to 83. 83 right to the Delta. 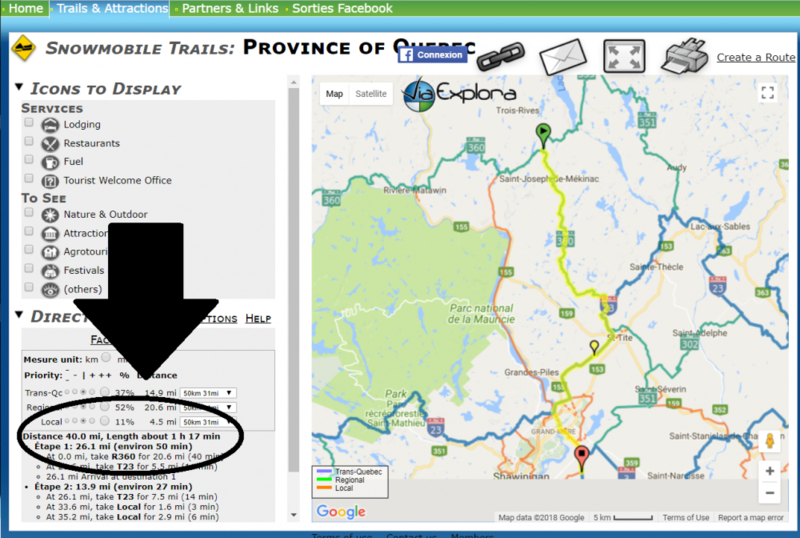 Saguenay-Lac-St-Jean See my post under Trail Conditions Saguenay-Lac-St-Jean I just posted explaining the reason. I just got back from a 5 day trip in Saguenay. Trails where good everywhere. We rode down to the Manoir. 83 was great to you get to the end of where the Saguenay club grooms to. After that got thin and drifted in places due the wind. but after the 301 intersection its Great all the way down to 3. After you cross the bridge on 3 no grooming going on till you get to the local trails into Clermont. Thin through there but passable. We crossed the Saguenay River via the ice crossing. They literally just finished staking that. Ice on the south side shore broke through after the second sled had crossed. The other two sleds skipped it to get on. That wasnt cool but everybody made it. Valin has boat loads of snow and due to the lack of traffic trails where better than I usually get them. I do not know if the river crossings out by Mont Vilian are staked or not but did not appear many sleds where running out there. We did not after the previous ice crossing earlier that day. There is about a foot of snow in Saguenay. The fields east of there on 83 towards LaBaie where thin from the wind but passable. Had to cross about a 5 foot rock hard drift on the 383 just west of L’Anse St Jean. I can’t really tell ya where exactly that was except that there where 2 bridges just a few hundred yards apart. The bigger steel bridge is taped off and closed. Crossed the ice next to it. In my opinion the trails towards Valin west where the best in the area The only bad trail is the rerout on the orange trail that goes due north to 93 just after you cross at shipshaw. I was ready to hit the go button and head up what used to be the road when I saw the no snowmobile sign and the arrow pointing to the right. They rerouted that. It basically bypasses the road section by the cemetery ? You can tell they just cut it in. It’s a mess. All in all ended up with 900 good but cold miles in 5 days. We plan on rolling into the Rock some time in the afternoon on the 14th so we may miss you guys. I'll be with a group of 8 guys staying for a couple of nights and then back on the 19th. Things seem to be shaping up nicely . Can't wait for the first trip !! I've learned to be patient LOL! Yep! This March I'll see when Jan 14th 2019 is and start booking from then. Is the river ready now? 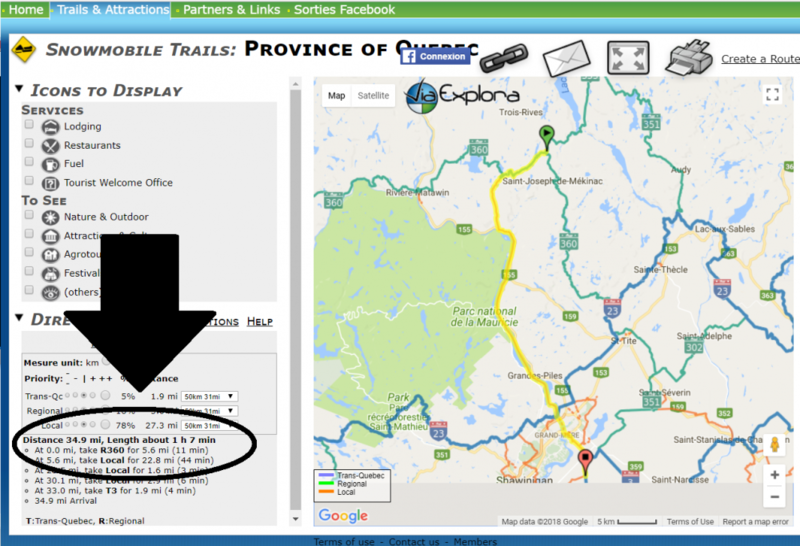 3 trips so far, Quebec is open for business and in great shape where we rode. I heard its staked from Grand Mere all the way up. Good to go.